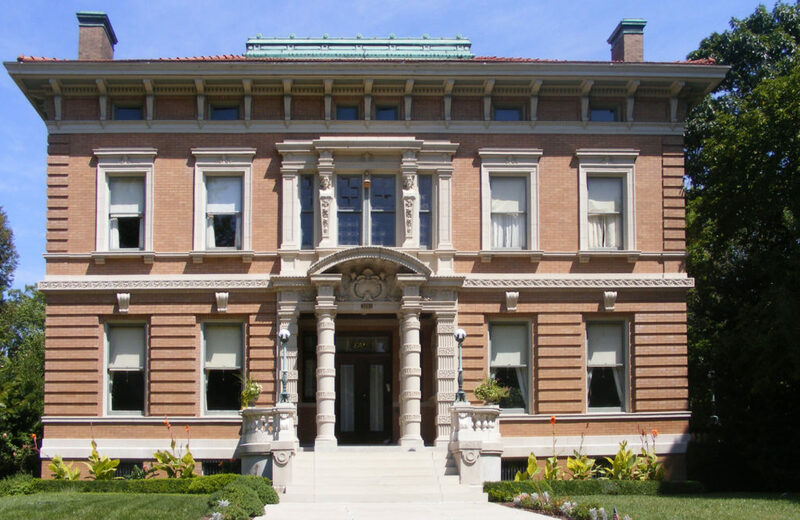 Becky Sigman takes a spin around her hometown, St. Louis, to showcase a few of its architectural styles and explore the origins of a handful of its historic neighborhoods. Becky admires the brickwork on this St. Louis Hills home. The random stonework integrated with red brick is seen widely across the city. According to Becky, any look at the architecture of St. Louis has to start with an overview of St. Louis Brick, and how it came to be somewhat synonymous with the city. In 1849, a steamboat fire ignited the riverfront wharves and roughly a third of the existing city was destroyed. As a result, the city banned wood buildings and required all new construction to be of non-flammable materials. Fortunately, the clay used in making the red brick that dominates St. Louis structures was readily available courtesy of high-quality deposits utilized by 19th century builders. 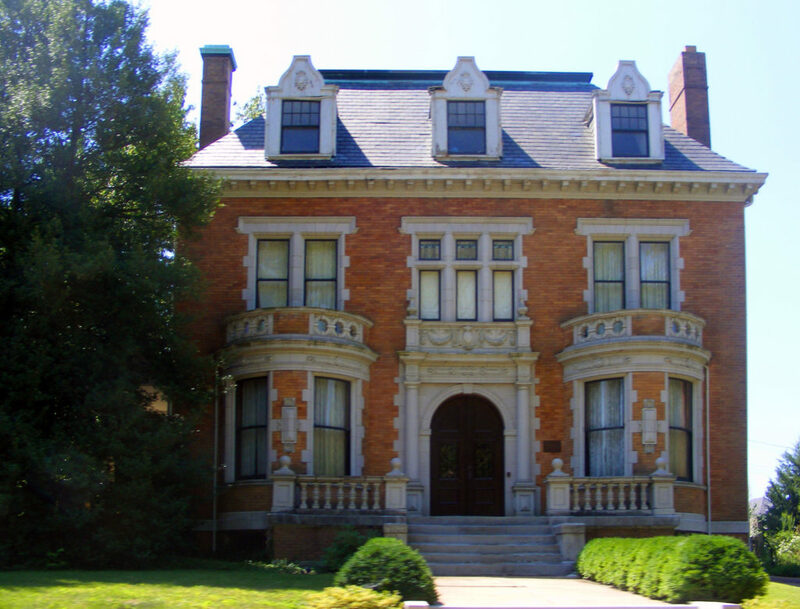 Thus, the inexpensive and plentiful red brick became the predominant building material in St. Louis after 1849. Today, Becky takes us to Compton Heights, one of 19th century America’s earliest examples of a planned residential development, and the greater Compton Hill area. 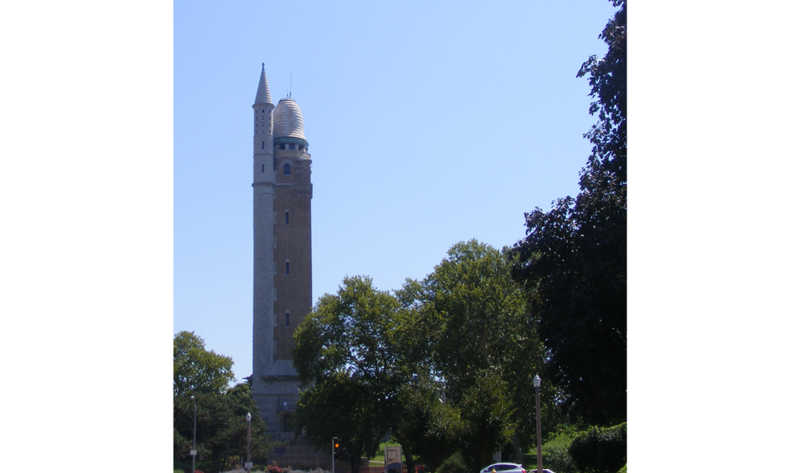 The neighborhood’s Water Tower is no longer in service, but remains an iconic landmark! The architect Harvey Ellis, also responsible for St. Louis City Hall, designed the tower in 1897. This part of the city was laid out in 1888 and the subdivision incorporated residential deed restrictions. This included a universal setback for each home, which you can see in some of the following photos. That is common in zoning now, but was very rare in the late 1800s. The collection of Compton Hill houses shown next are primarily Beaux Arts architecture with some elements of Italianate and Victorian architecture, for interest. 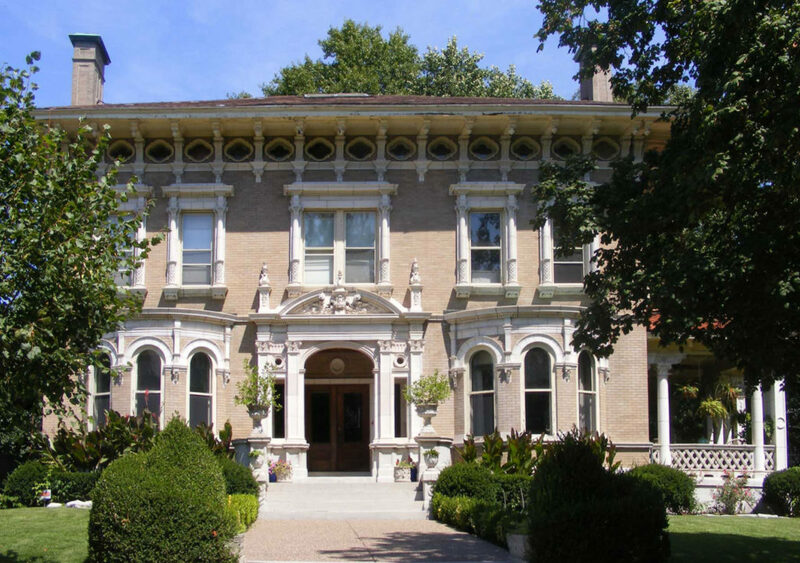 The elegant stone work on this Italianate style home highlights the availability of master craftsmen in 1880s St. Louis. 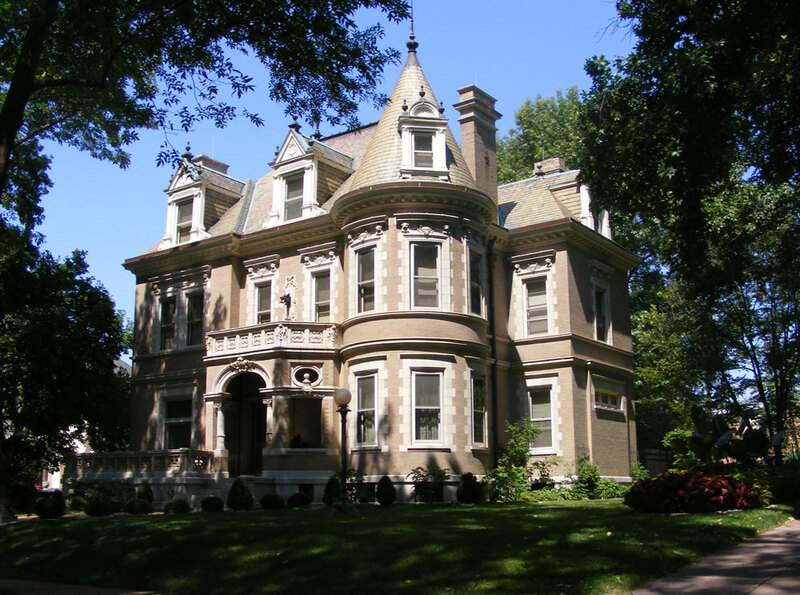 Becky was drawn to the symmetrical bays on this house, which exhibits a mostly Beaux Arts influence. This Italianate inspired home boasts extremely intricate attic story windows. This Beaux Arts-inspired house features wonderfully detailed columns at the entry which emphasize the central bay, as well as a deep cornice and beautiful brackets at the second story windows. 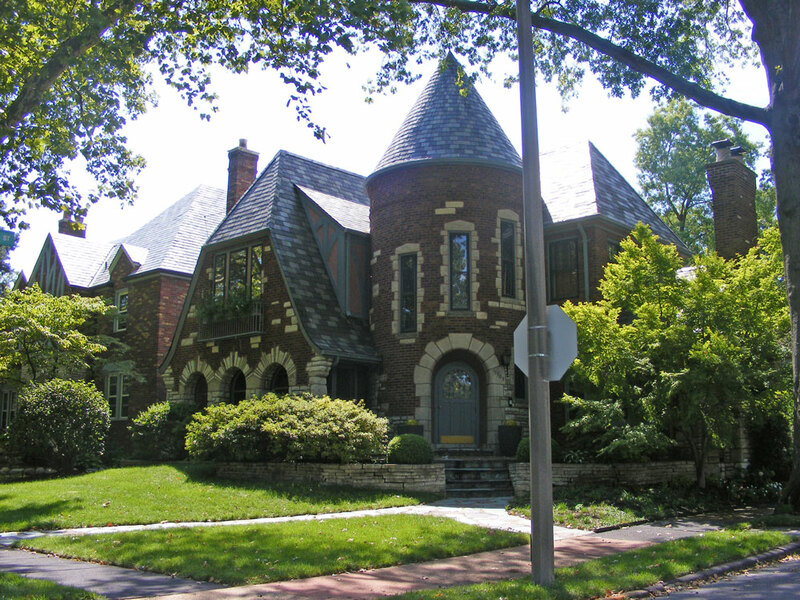 This wraps up Becky’s look at Compton Heights and the homes and architectural details that caught her eye. She’ll travel next to the Lafayette Square National Historic District, an area known for its Second Empire Victorian-era homes.